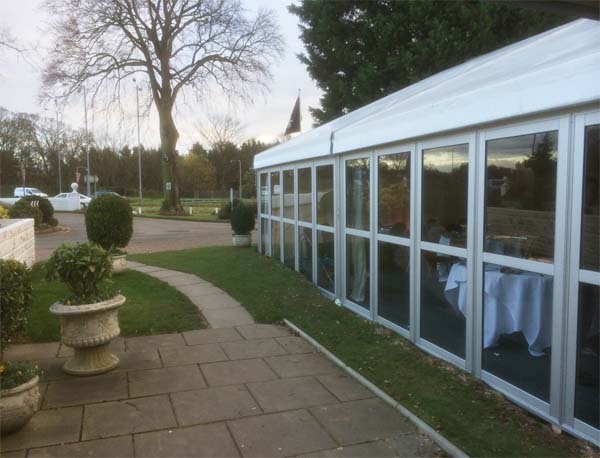 We were asked in to provide a permanent marquee to replace an existing marquee which was not fit for purpose, this required us to excavate the grounds to give a flat and level surface for us to put the structure onto, along with dropping in 60t of type one to firm up the ground. 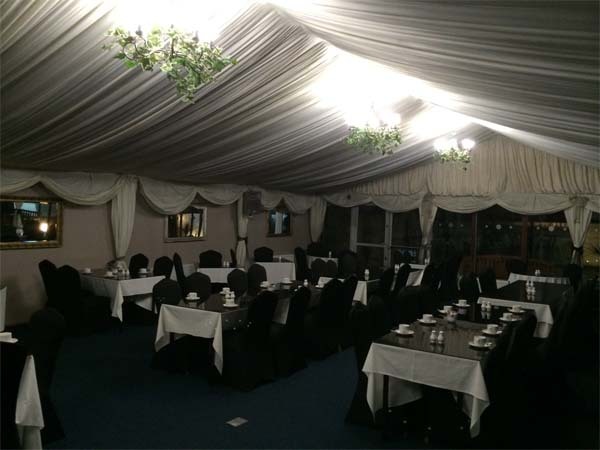 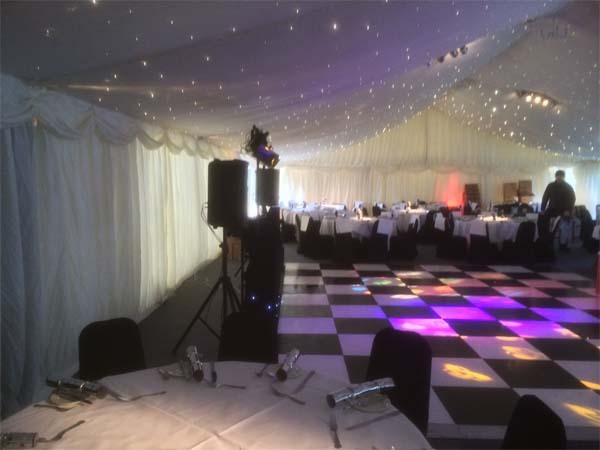 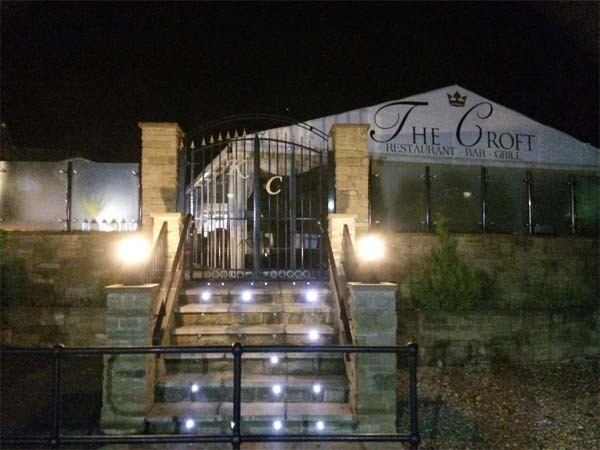 We provided a full ivory Starcloth, chandelier lighting, full solid glass frontage, floor and carpet, illuminated bars, dance floors, catering equipment, PA systems, pin spot lighting along with low level brick walls and concrete ramps. 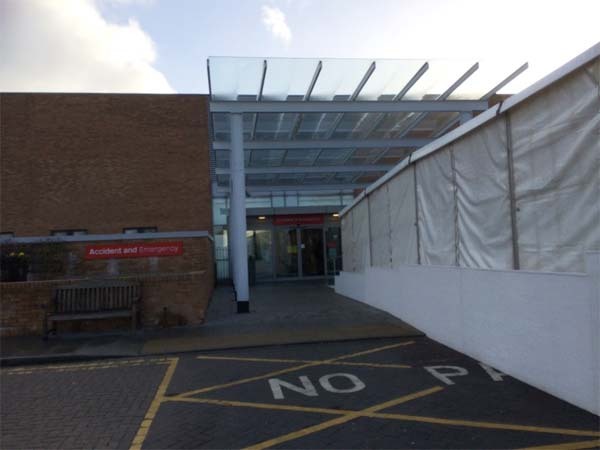 Our next project involved us supply and erect a marquee walkway and scaffold for an A&E department. 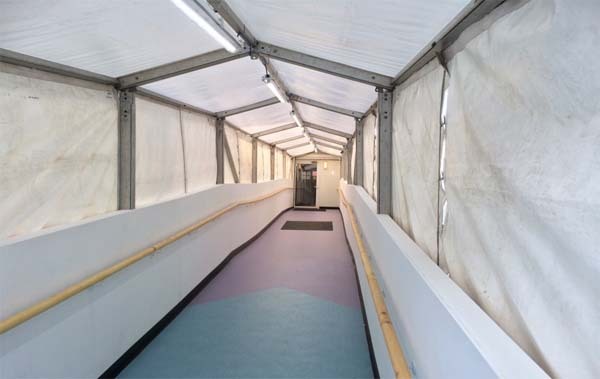 This was to provide temporary cover for patients to gain entry to a fully equipped assessment centre where patients could be assessed before entering A&E. 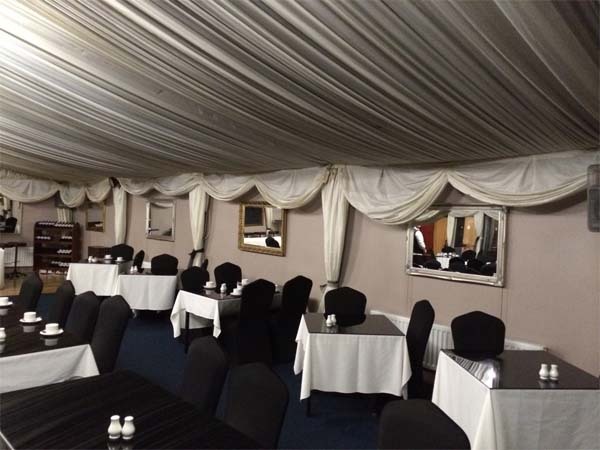 this structure has been up for the last 3 months. 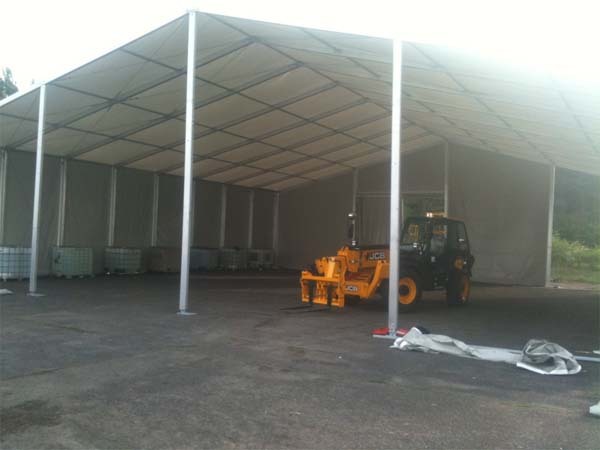 We have also provided temporary restaurants and storage structures for the hospital. 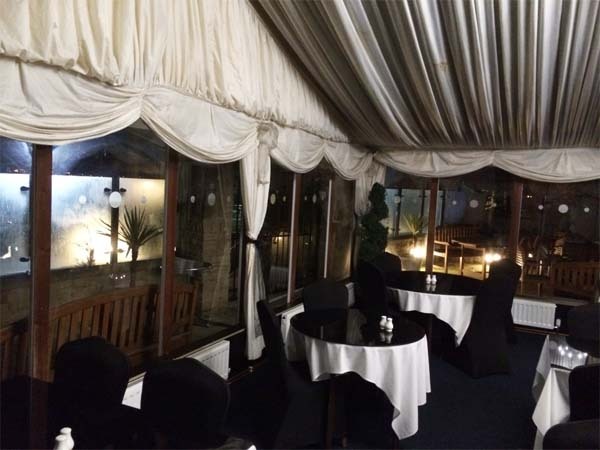 Next we were on to Pontefract to check over a marquee we sold 5 years ago, the marquee has been used as a restaurant within a hotel for the last 5 years, the owners have greatly enhanced the marquee by adding pictures and mirrors along with radiators and food counters, to give the marquee a real homely feel. 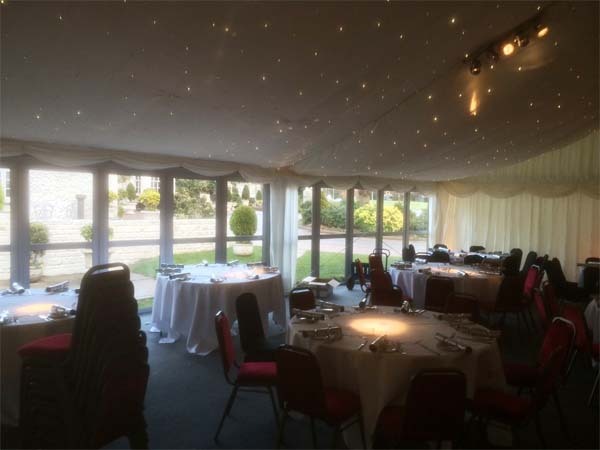 We then moved on to Cheshire to visit an very old customer of ours who has purchased a marquee from us. 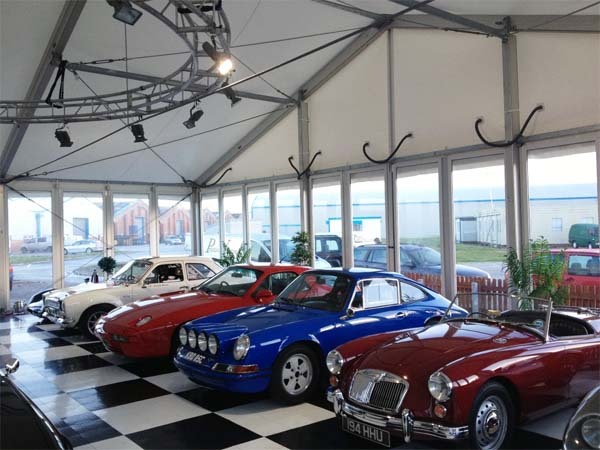 This is there second structure from us, increased in size, and as the structure is fully gazed and opposite a private airport they have created the perfect shop window with the ability to increase their amount of space to accommodate their stock levels. 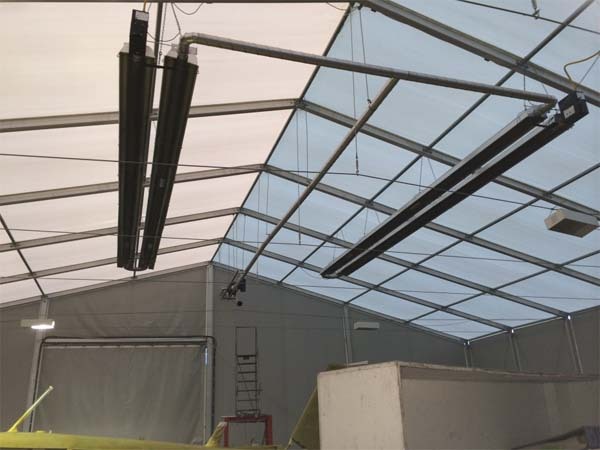 We were then asked by a client of ours to take down an aircraft hangar as they were relocating to America. 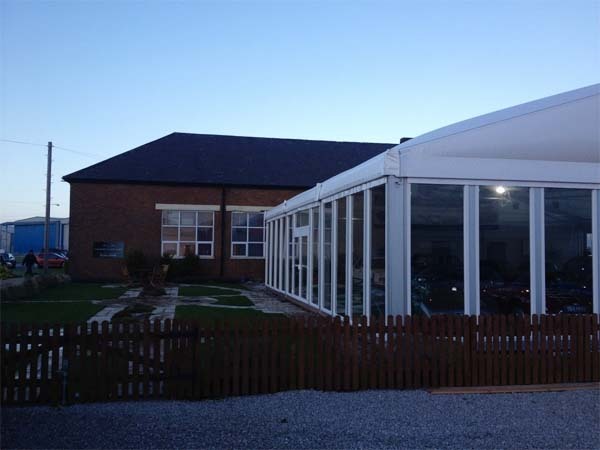 We sold the structure to them 3 years ago, this was used to store and carry out repairs on light aircraft.